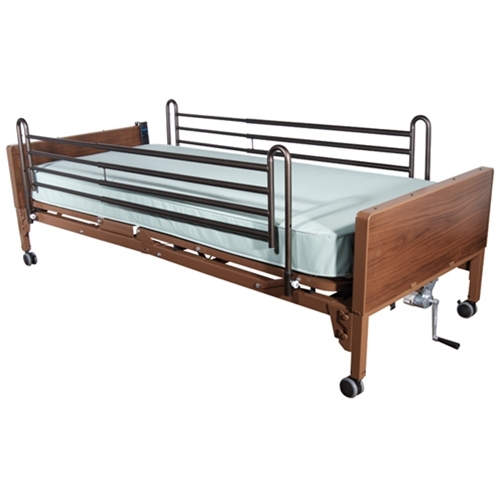 Drive Medical Deluxe Full Length Hospital Bed Side Rails from HealthyKin.com telescope with movement of the bed to provide adequate support. 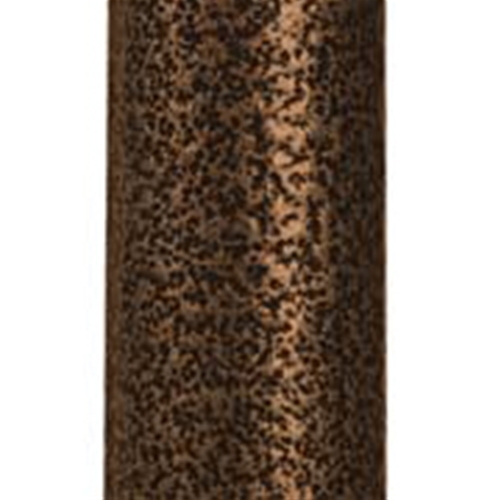 The 1" steel construction with brown vein finish is both strong and attractive. The rails adjust up or down thanks to spring-loaded release. 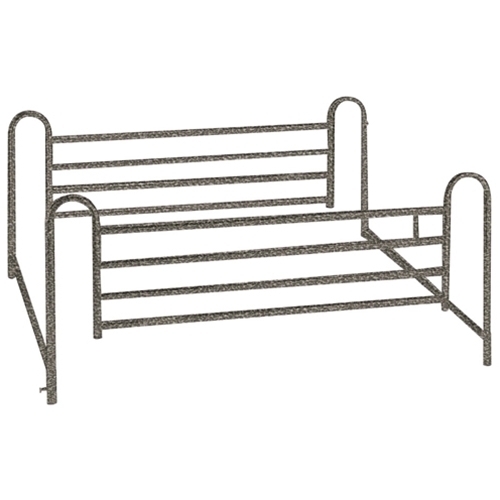 The spring-loaded crossbars offer extra support, and come easy to install or easy to remove. The product is protected by a limited lifetime warranty. Length adjusts from 47½" to 78"